Craig Ferguson, Kelly Macdonald and Kevin McKidd bring their brogues intact to animated tale of ancient Scotland. It was a Highland fling for Craig Ferguson, Kelly Macdonald and Kevin McKidd as they lend their Scottish accents to Disney/Pixar's "Brave." Scottish accents in Hollywood aren’t just limited to Sean Connery’s masculine rolling r’s or the late James Doohan’s faux-brogue anymore. Craig Ferguson: It's a sign of the times. I think the world is different than it was maybe 20 or 30 years ago when regional accents were a very exotic and odd thing, but with the Internet and the YouTubes and all the different communication systems that exist in the world, I think that people's ears are much more attuned to authenticity in accents now. I think that's a part of the smart planning of this film, and also, if you're going to make a film about Scotland it's probably a good idea to have Scottish people in it. 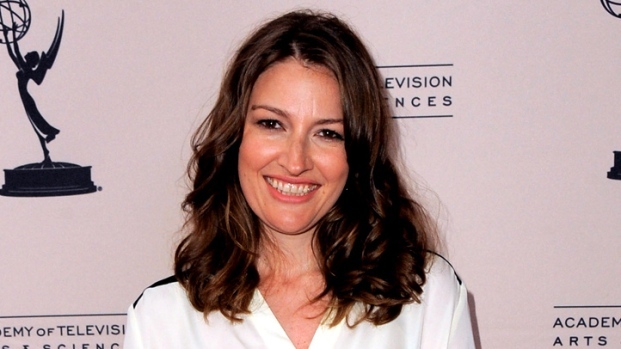 Kelly Macdonald: I'm Scottish and I've read things that have said I have a terrible Scottish accent. People don't know. Kelly Macdonald chats about doing the voice for Princess Merida in Pixar's new animated feature, "Brave." Kelly talks about the difficulty of needing to express herself "bigger" and the excitement that came with playing Pixar's first female protagonist. Ferguson: They kind of know what they're doing. I think that it'd be a bad idea as a voice actor to tell Pixar that it doesn't look very good. I don't know how long you'd be working there. McKidd: I started as Young MacGuffin, and that took a while because they wanted Young MacGuffin to be that kind of character that nobody can understand a word he says because his accent is so thick. Then they offered me Lord MacGuffin, the older character, the dad, and we started doing sessions where I'd do both at the same time and I ended up just meeting somewhere in the middle, kind of between a rock and a hard place. So we'd do Lord MacGuffin in the morning, because I'd just woken up and my voice was [gruff] like that, and then we'd do Young MacGuffin after lunch. I just basically channeled my dad for Lord MacGuffin because he's grumpy and old. I channeled myself as a young [boy] because I was a very, very painfully shy boy. That's why I became an actor. I sort of channeled that painfully shy young boy that I was. 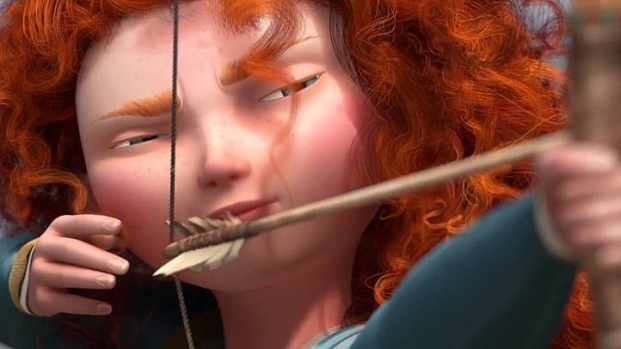 From Pixar comes this adventure about a young Scottish woman whose rebellious nature and love of archery endanger her father's hold on his kingdom. Featuring the voices of Kelly MacDonald, Emma Thompson, Billy Connolly, Craig Ferguson and Robbie Coltrane. Macdonald: Attention to detail is not my strong point and it totally passed my by that I was going to the first female protagonist in a Pixar movie until quite recently, really until I started doing interviews. I'm kind of glad that I didn't know while I was doing it because it would've been a lot of pressure, but I don't think that I've personally watched a Pixar movie and felt wronged in that there wasn't a female protagonist. They make films about fish and toys and robots, and there are some really strong female characters in those films, in 'The Incredibles' and Jessie from 'Toy Story.' So I never felt that I was missing out on that, but I feel very privileged, having said all of that. I feel very privileged. Ferguson: Disney is so powerful that Kelly no longer owns her own voice, and so as she speaks to you now she begins to owe the Disney corporation money. I will now answer all of her questions. Macdonald: As soon as I was asked to go in and meet some people from Pixar, just with the name Pixar you know that it's going to be special. So, I had no doubt in my mind that the finished product was going to be just really special and cutting edge. Ferguson: When the name Pixar is on the offer, it's not really an offer. It's more of a summons. Pixar require your presence in this film and you go or you're a fool. So that's kind of what happens. They've earned that right by what they've done, and so what I think the special feeling is, realizing what these people have done, trusting that they will be able to do it again and letting them. McKidd: I remember maybe 15 or 20 years ago, he did a tour of all the little village halls in the whole of Scotland. He went around and did all the town halls of Scotland. He came to my town and I was this sort of theater rat and I got to do his follow spotlight in Elgin Town Hall. I couldn't keep the follow spot still because I was laughing so hard, and he started making jokes about me. He was like, 'You up there, stay still with the follow spot!' He's like the god, the granddaddy of Scottish comedy and has been unbelievable. Ferguson: Billy is an Elvis to me. Billy is Jackie Robinson as far as I'm concerned. Billy changed the game. When I was a kid, when I was at school, Billy released a comedy album called 'Solo Concert.' You listen to young, black comedians talk about Richard Pryor and that's who Billy is to me. I'd never seen anyone do anything, who sounded like me, who came from the same socio-economic group as me, and did that. I'd seen English actors pretend to be Scottish. I'd seen caricatures of Scottish people, but I'd never seen anything like that. I think that John Lennon said that before Elvis there was nothing. And that's kind of how I feel about Billy. Macdonald: I hurled myself at Billy Connolly. He was doing a session when I first went in to read for this part. Billy had just been in doing a session before me and before I knew what happened I was around his neck like a monkey. So yeah – It's not just a male thing. Ferguson: We can't tell you that. McKidd: Or we'd have to kill you. Ferguson: It’s the Scotch-a Nostra.